"Ladies and gentlemen," the announcer for Buffalo Bill's Wild West called. 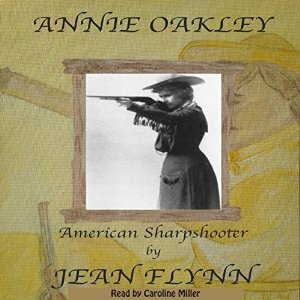 "Miss Annie Oakley, the little girl of the Western Plains!" Oakley galloped into the arena, firing her gun from different angles and hitting even the most difficult targets. Rivaling all other sharpshooters of her day, Annie Oakley, the first female competitive shooter, opened doors for women to new sports and new opportunities.